Blair Hogan is one of the busiest session musicians in the Ottawa area, and with good reason. Hogan has a great melodic sensibility to his guitar playing. He adds to a song in a way that can be both unobtrusive and in your face at the same time, weaving around lyrics with well crafted hooks full of delay reverb. 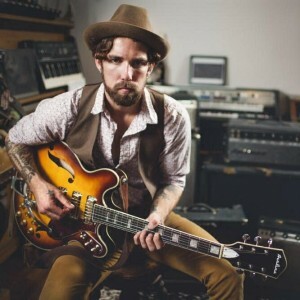 With a huge sonic pallet at his fingertips (and feet), and an ever expanding collection of old amps and guitars, the right sound for any gig is always achieved. 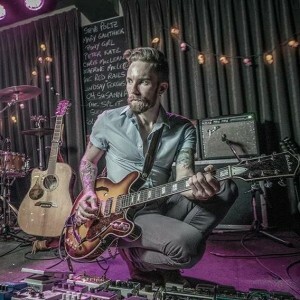 Hogan has spent the better part of the last decade as touring guitarist for award winning singer/songwriter Brock Zeman (Busted Flat Records), as well as playing guitars, bass, mandolin and keys on many of his twelve albums. When he’s not on the road with Zeman, Hogan does session work in studios all over the city, and plays rock and roll with Ottawa favourites Silver Creek.